A day exploring the rainforest and endearing landscapes of Cape Tribulation, this holiday begins by heading to the Mossman Gorge Gateway Centre. Here, the area’s indigenous owner will present visitors with a talk on the area and the Kuku Yalanji people’s distinct culture. It’s hard to imagine the Australian wilderness without the intriguing Aboriginal culture and this taste will prepare you for the incredible sights that await you on this voyage. 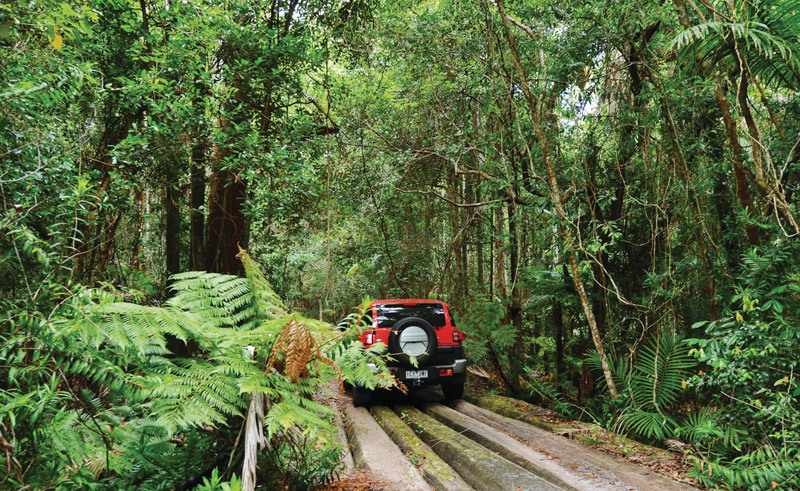 Boarding your shuttle for a transfer to the Mossman Gorge, your driver and guide will lead you out on a guided walk, sharing their knowledge of this enchanted rainforest. From here, travellers will be led to the world-renowned rainforest beach of Cape Tribulation, where you can walk through the sandy surf and admire a coastline that is fringed by coral reefs. A tropical lunch is served with your choice of quality steak, fish or vegetarian, with fresh salads and a fruit platter. The stop after lunch at the Alexandra Lookout will bring panoramic views out to the sea and to the mouth of the Daintree River, which will be your final stop. Now, boarding a cruise to explore the river, you will reach a greater understanding of this wilderness as you observe the area’s flora and fauna, including tree snakes, birds and, of course, the estuarine crocodile. The tour concludes in Cairns. Capture some of Queensland's biggest coastal attractions on this epic East Coast self drive journey.